The South Jersey police officer captured on dashcam video kicking a handcuffed man in the head has quit. 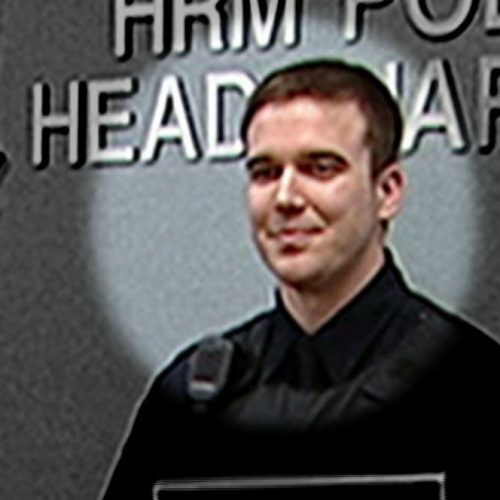 The resignation of Penns Grove Police Department Patrolman George Manganaro, 29, was accepted by the borough council Tuesday night, according to solicitor Adam Telsey. Manganaro is charged with aggravated assault in connection with an incident that took place early Thanksgiving morning in Carneys Point Township, a town neighboring Penns Grove, according to authorities. 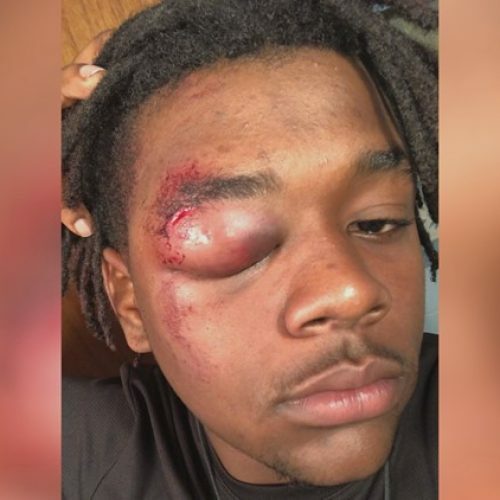 He was assisting a Carneys Point police officer who responded to a home on Courses Landing Road from where a woman had called 911 to report someone had either thrown a brick through her window or punched through it. That man was identified by the Salem County Prosecutor’s Office as Xaviel Ramos, 22, of Hopatcong. Authorities said Ramos was traveling home for Thanksgiving when he apparently stopped in Carneys Point Township and let his dogs out of his vehicle and they ran away from him. Ramos had been walking through area fields for hours until he came upon a rural Courses Landing Road home. Ramos attempted to break into the house to get warm, Lenahan said. It was later confirmed by staff at The Memorial Hospital of Salem County that Ramos was suffering from hypothermia. 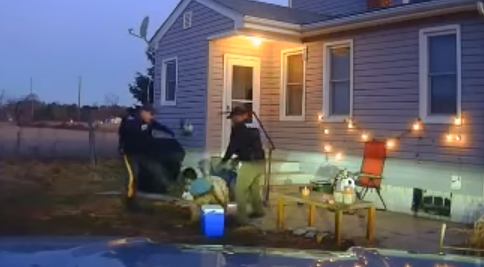 In the dashcam video obtained by NJ Advance Media, Ramos is seen handcuffed and sitting on the ground. In the video he appears to try to get up at which point Manganaro kicks Ramos in the head with such force that it causes Ramos’ hat to fly off his head and land several feet away. Asked for comment on the resignation of Manganaro, Penns Grove Chief of Police John T. Stranahan Sr. Wednesday reiterated his previous statement on the case. 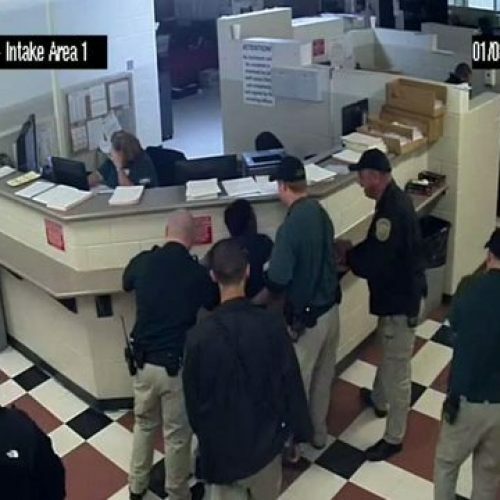 “The Penns Grove Police Department finds this behavior unacceptable. Our officers must adhere to the core values established by our department policies,” Stranahan said. Manganaro, who is a Penns Grove resident, was suspended from the Penns Grove force after being charged. Manganaro is scheduled to appear in Superior Court in Salem on Jan. 25 on the aggravated assault charge. Ramos is scheduled to appear in court Jan. 18 on charges of trespassing and criminal mischief. The Penns Grove Borough Council Tuesday night voted to hire an officer to replace Manganaro and an additional officer, Telsey confirmed.